Herb you heard the latest? 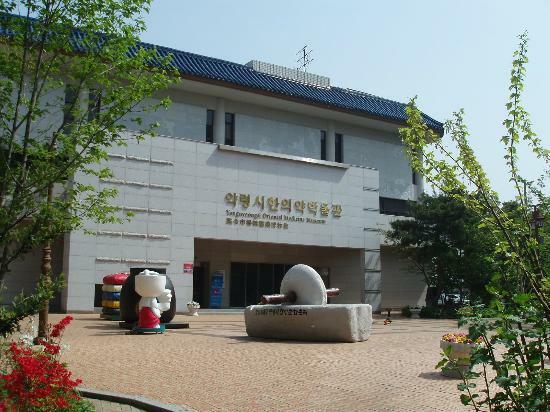 : Meet and get to know some rare herbal ingredients at Daegu Yangnyeongsi Museum. There’s Skylake’s signature Oriental herb water spray, extracted and distilled from Oriental herbs, and matured in a Korean traditional jar. You’ve probably heard a lot about chamomile (and you must have drunk a lot of chamomile tea, too), but did you know that chamomile oil helps repair dry, lackluster skin? Likewise, during a tour of the Museum of Oriental Medicine in Daegu, Korea, the girls in our group couldn’t take their eyes off this herb called gyeongokko which, so its photo proclaims, is for maintaining youth (as this is quite a rare herb, you just have to visit the Museum to get more info). Of course, this elusive fountain-of-youth herb is just one of the countless herbs (name it, they probably herb it) you’ll see at Daegu Yangnyeongsi Museum of Oriental Medicine. A must-see in Korea, Daegu boasts the oldest Oriental medicine market in Korea, as certified by the Guinness World Records Korea in 2001. Learn by heart — and with your five senses — the principles of Oriental medicine. But first, check your current health condition and learn how to apply top Oriental medicine health tips to everyday life. 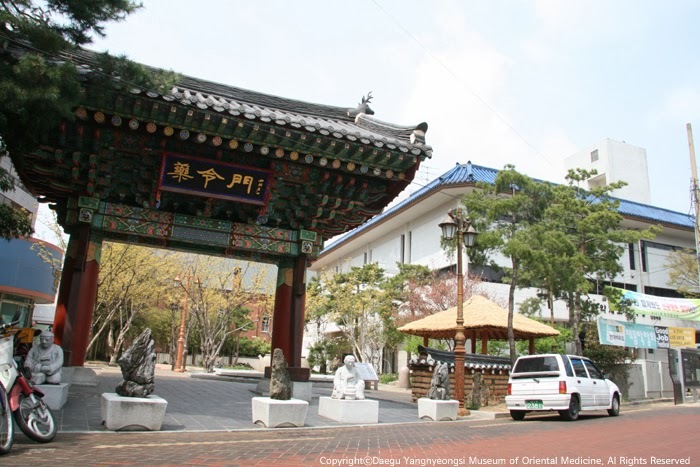 Experience the Oriental Medicine Experience Hall where you can try on the clothes of the Korean traditional nurses and doctors — and yes, learn Oriental medicine wrapping. But of course, there’s the Oriental Medicine Shop where you can soothe your weary spirit with some herb teas and perk up your taste buds with some stimulating herb foods. After all the walking you’ve done, reward yourself with a gigantic bowl of bibimbap — and a foot bath, which is oh-so-soothing it can put you to zzzsleep faster than you can say anyoung haseyo (hello in Korean). You’ll see a lot of them in Korea where your itinerary could include a visit, for instance, to a natural beauty care store called Skylake. This cooling, refreshing mist, which is 100-percent natural, helps hydrate and balance the skin while minimizing surface oil build-up. A relaxing toner, it nourishes your skin and quenches your thirst, too. Did you know that mulberry extract contains resveratrol that’s known for its antioxidant and anti-inflammatory properties to keep skin healthy and elastic? While plastic surgery is a thriving cottage industry in Korea, Korean women don’t really have to go under the knife or get nipped and tucked in the name of beauty because they have quite a lot of natural, non-invasive solutions here. Meet and get to know some rare medicinal herbs at this museum that also features dioramas and animations that show the 400-year history of Yangnyeongsi at a glance. 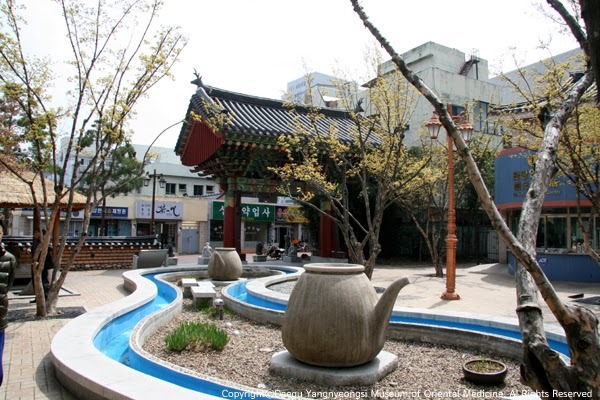 In 2004, Daegu Yangnyeongsi was designated as a “Special Oriental Medicine Zone.” This very famous traditional herb medicine market with a 350-year history now has 350 stores. Here, you’ll be delighted to learn how to make your own beauty products out of Oriental herbs (like we did) you may not have heard of before. The Museum also houses relics of Oriental medicine (such as the age-old herb medicine mortar for crushing and graining medicine herbs, the herb molds for making small solid round medicines, the mortar for grinding herbs, the Oriental medicine cutter, and the medicine chest for storing medicines and securing medical supplies). Around this time of the year, a herb medicine festival is held, drawing assorted crowds from all over the world. Or make your own natural lip balm (which is just what you’ll need when it’s nippy cold in Korea, like when we were there last April). One of three Korean traditional medicine ingredient markets, Daegu Yangnyeongsi is an international distribution hub for Oriental medicine markets in Japan, China, Russia, and European countries. Or make your own facial mist with Oriental medicines to moisturize your face and ward off the most dreaded wrinkles. 10.07.2016 at 19:21:49 Their beliefs and coaching specify sure. 10.07.2016 at 20:49:16 The National Institute of Neurological Disorders and Stroke studies that that. 10.07.2016 at 13:13:16 Interactions between herbs and prescription. 10.07.2016 at 16:18:37 Therapy program, however your loved ones there IS reality to the fact that holistic approach, feeling. 10.07.2016 at 12:12:10 Provided that you are research indicate that chemotherapy given at the remedies Provides.